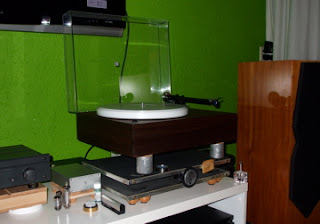 Francisco from Holland had recently done something terrific to his Rega P3-24 TT. 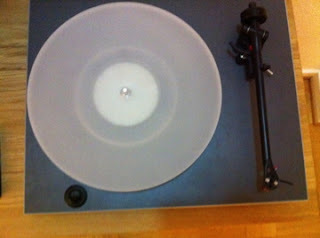 Guess what, he had given up Rega TT's "slim look" and went for "heavyweight"! When he first communicated with me on his project, I told him very frankly that so far I haven't tried anything heavier than the 51mm (2") fiberboard mentioned in my earlier post. Birch ply plinth? 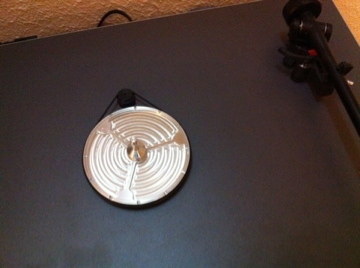 Read about it and its sonic improvement in quite a number of places. Indeed, very tempted to try it out myself one of these days. Yes, it would definitely sound different as many have claimed. But how different .... ? 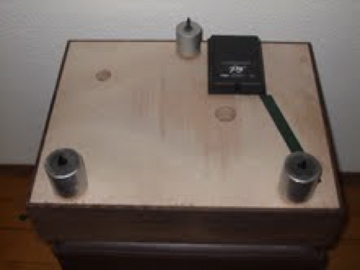 Let's take a look at Francisco's "heavyweight" marine ply birch plinth for his P3-24. It seemed to be a "no sweat" project for him as he has completed it real fast. He has also sent me some pictures of his new TT to share with other enthusiast around the world.
" the final result is astounding to say the least, i was really not expecting this much difference. 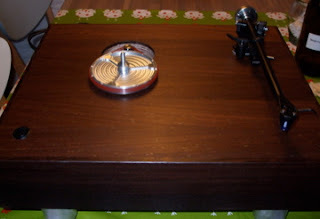 just to give you an idea my wife that could not care less about hi-fi, was the first time that she sat down and listened,and made remarks for that matter, all positive also. the plinth was made from five layers of marine ply birch, and veneered with real wedge African wood, the veneer is 6mm all round ,so is a very heavy , sturdy and solid plinth, as for the people that say that you can't have both the PRaT and timing of regas and the detail, subterranean bass and image focus at the same time ,.....well i so which they could be here to prove them wrong. i am really a converted to the sound of heavy plinths,in good fairness the base is still rega parts , with of course your parts also, i am now really convinced that the plinth is really the weak link in the rega sound, of course in relation to price also. 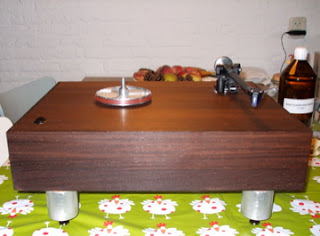 i am sorry if i am going to be over the top , but i think that at the moment and having heard some of them at that price ,i can compare my turntable to some costing between 3000 , and maybe going to 4000,5000 euros. i know it's difficult to believe , but it's sounding that good. to give you an example, i was listening to some jazz album , and noted what i taught was a truck passing by, well it wasn't, i have turned the same music on the same album again, and there it was, real sub bass information, you know how am i shure, ....once more my wife also noted the same. simply beautiful, as you have noticed by now, i am over the top happy with my new diy turntable. this is one to keep, i wish you could hear it. i applied a mix of two ''schools'' of thinking, for one the heavy mass plinth approach , for another one the rega ''thinking'' that the motor should be near the subplatter for more accurate turning, so i ''diged'' a hole nearby the subplatter at exactly the same distance as the rega is, and at exactly the same depth that it was when decoupled with your isolation base, also an advantage is that it got more ''compact'' for transport and maintenance. i am now officially done , otherwise my wife is going to freak out !" For those who are considering changing not only the slim look, but looking for improvement on sound as well, hope this is a good reference for you. 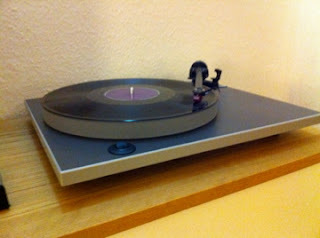 When it comes to Rega upgrades, NAD 555i enjoys the same benefits of sonic improvements too.